Over 9000 Signatures for the Denver Right to Survive Initiative Delivered TODAY!! 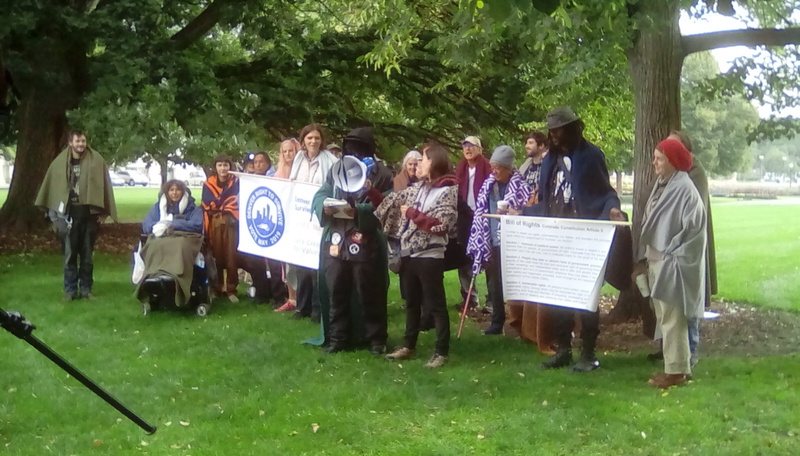 Today, on a Monday morning, over 50 community members showed up wearing blankets to deliver over 9000 voter signatures to the Denver Elections Division for the Denver Right to Survive Initiative!! This was a BIG DAY! National attention is on this initiative, including representatives from the Western Regional Advocacy Project who came all the way from San Francisco. This initiative protects basic human rights such as; the right to sleep, sit, use cover, and otherwise survive in public. It enables people who have nowhere to live to choose the places where they will feel the safest to survive. At the press conference Monica, a woman in Denver who has been without housing for 5 years, spoke of how the camping ban and other such laws make it harder for her and other homeless people to get by, much less get housing. She told of how these laws have pushed her to constantly have to move around, dragged her down, and affected her safety. At the Press Conference Monica shared her story of being raped after the camp she and her husband were staying in was swept and her husband was arrested leaving her in an alley alone. Monica’s story is an example of the real effect of the criminalization of homelessness, and how important it is for those without shelter to have the Right to Survive. After the press conference the crew marched over to the Denver Elections Division wearing blankets and carrying boxes of signatures. 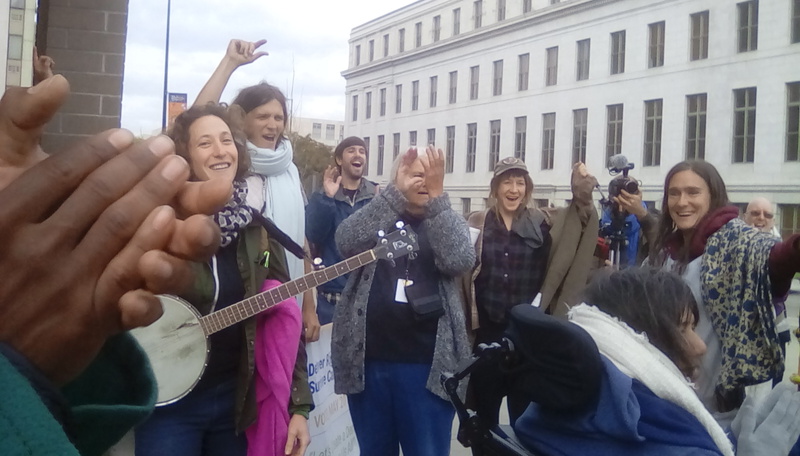 After delivering the signatures the crew jumped into song to celebrate the start of the Denver Right to Survive Campaign. We will find out on October 29th 2018 if we made the ballot May 2019 ballot. Stay tuned…! !